JNTUH B.Tech/B.Pharmacy 1-1 Sem (R16) CBCS Syllabus For All Branches A.Y. 2016-17, jntu hyderabad 1-1 sem syllabus books download for 16 regulation. 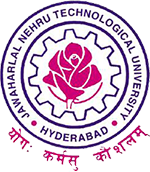 JNTU Hyderabad has announced B.Tech/B.Pharmacy 1st Year (R16) CBCS Syllabus For All Branches on 1st august at jntuh.ac.in. Note : R16 = For the students admitted into I Year in 2016 & 2017.